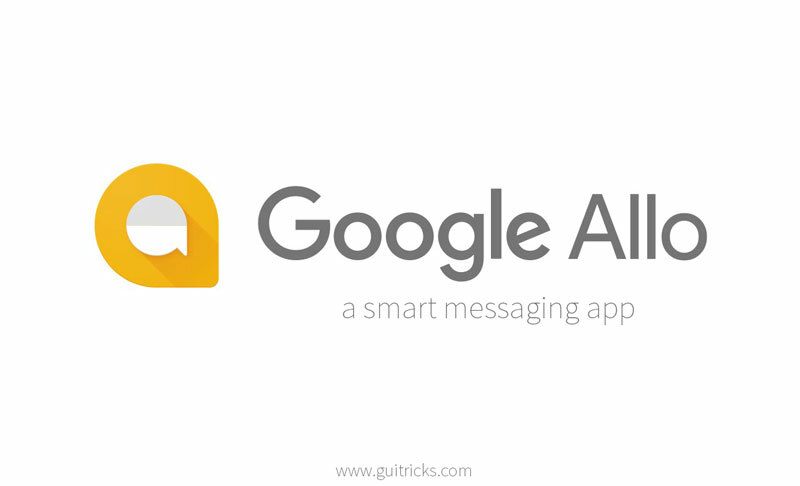 Review of Google Allo - A Smart Messaging App | GUI Tricks - In Touch With Tomorrow! Review of Google Allo - A Smart Messaging App - GUI Tricks - In Touch With Tomorrow! The Allo is a smart messaging app from Google which lets you express yourself better by saying and doing a lot more through text. It is one type of Google Assistant. What Can You Do With Google Allo? It is featured with Google Assistant and available for both iOS and Android devices. The incognito mode allows the best end-to-end encryption and privacy. It doesn’t have video calling feature and GIF support. You cannot control the read receipt settings. We all have an array of choices for sending texts and media to our friends and relatives from our phone or computer. But, Google thinks that we need one more messaging app which is smart also, and it added it too. The search giant company has launched ‘Allo’ in September 2016. Google has tried to answer or wanted to create an alternative to WhatsApp and WeChat messaging applications. And Google is succeeded to create a smart and easy-to-use messaging app for its consumers. How Google Allo Differs From The Other Messaging Apps? Google has made Allo stand out from the pack by integrating Google Assistant into it. We all know about ‘Google Now’ and how it works. The Allo Google Assistant works in this same manner. It saves your time and provides you the best information whenever you need. Allo Google Assistant is a bot which uses the vast database of Google to let you know the answers to the questions raised in your mind. 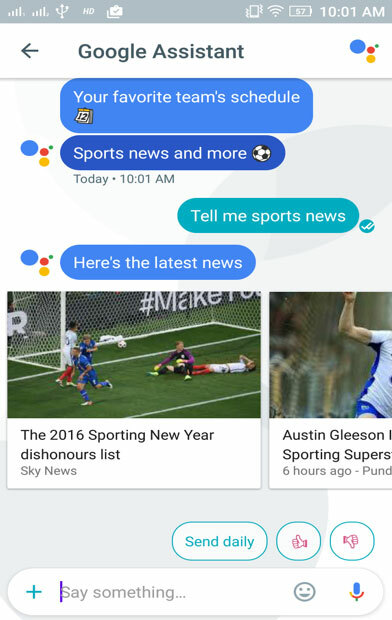 For example, if you want to find about ‘Sports’ then you will get results in Allo Google Assistant like below. It also translates languages if you want and allows you to chat with your friends and family members any time you want. If you are feeling lonely, then you can play games with it too. Yes, it is absolutely right that for simply searching queries, the preferable way is pressing the home button of our device and then go to the Apple’s Siri or Google Now. But, the advantage of Allo Google Assistant is, you can use it simultaneously while you are sending texts to your friends and relatives. You can even ask verbal questions to it while the app is open. You can look for something without leaving the app, which makes it differ from other standard messaging apps. It learns your previous answers to some particular questions and suggests you the options when the same question is asked again. The suggestions not only in the form of text, but you can even choose from Emojis and even photos. You can add text to the photos before sending and also can doodle them to show your creativity. Hundreds of stickers designed by the worldwide independent artists and studios let you choose your best-expressing sticker on Google Allo. Generally, when you want to point out something in a messaging app, you send it in ALL CAPS. But Google Allo lets you change the size of the text with a quick swipe and allows you to say it quieter or louder depending on your mood. The Incognito mode allows you to have an end-to-end encrypted conversation. It keeps your chat private and gives you the control of the durability of the messages you send with expiring chats. Should You Switch To Google Allo or Not? In the title, I have mentioned it a smart messaging app. I absolutely mean it too. The app quality is fine, and the chat stuff is perfect. The advantage of Google Assistant is helpful too for the people who do not want to change the screens or go out of the messaging window for looking to something. But, if you ask me whether you should switch to Allo or not? My answer will be, wait for some time. We have seen the Google experiments over the Google Hangout and Google Plus for the messaging options. But, it flailed around in its social attempts. But, as the messaging is the epicenter of our phone usage, Google has smartly tried to jump over directly onto it. But, as per its predecessor attempts, Google needs a fresh and cool start in the messaging strategy. On the day 1, Google Allo doesn’t seem to be perfect for a communication way. But, the integrate, and well-known Google Assistant sets the Google Allo something to be more interested and smart messaging app in the recent times. But, seeing with the technology perspective, there are other options which have already made their place as a well-developed messaging application. So, without fireworks in the background, not allowing the message to be invisible and the lack of video calling feature can make it hard for ‘Google Allo’ to become a favorite chat messaging app in the near future. Mandip is a graduate in Information and Technology. 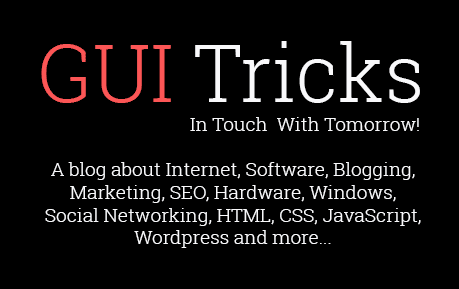 He is a passionate blogger, SEO Specialist, and a Software Developer. He loves to write on technology, SEO, micro job websites like Fiverr and Internet Tips and Tricks. Currently he blog at Best On Internet.